If you haven’t already done so, there is still time to submit your nomination for next month’s Spirit Award. Please forward your nominations by May 30! You can use the link below to obtain a nomination card. The card may be completed online and forwarded to Mary Ellen Pichiarello at maryellen.pichiarello@scranton.edu. You may also print it out and send it to Mary Ellen’s office in 580 LSC (Loyola Science Center). In addition, Spirit Nominating Cardswill be available to Facilities Operations and University Police personnel through their supervisory chains of command. Please consider rewarding “over and above” behavior by taking the time to send in a nomination! The winner receives the use of a reserved parking place in the Parking Pavilion for the month, and $50 of great University Food Services Cuisine!!! 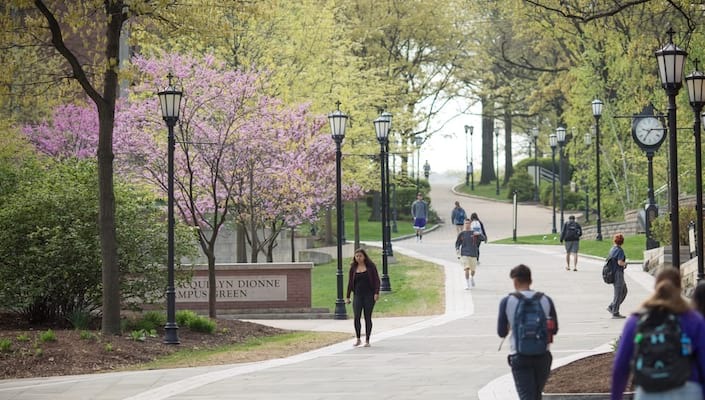 The University of Scranton and Boston College Law School enter an early admissions agreement.